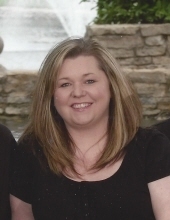 Shelly Dawn Roe-Stallbaumer, a resident of Stillwater passed away at her home on Friday, January 24, 2019 after a long illness surrounded by her loving family. She was 47. Funeral services have been entrusted to the care of Dighton-Marler Funeral Home of Stillwater, Oklahoma. Visitation will be 9AM to 8PM Monday, January 28th, 2019 at Dighton-Marler Funeral Home in Stillwater with family will greeting guests from 6PM to 8PM. A Celebration of Shelly’s life will be held Tuesday, January 29th, 2019 at 10AM at Saint Francis Xavier Catholic Church in Stillwater with Father O’Brien officiating. Interment will follow at Osage Cemetery in Agra, Oklahoma. Pallbearers will be Todd Crosby, Chris Kukuk, Larry Maddox, Eddie McIntire, Scott Reedy And Mike Thomas. Shelly was born February 26, 1971 in Cushing, Oklahoma to Gary and Carolyn (Johnson) Roe. She spent her childhood in Agra and graduated Agra High School in 1989. After graduation she attended OSU for a short time before landing a advertising sales job with the Cushing Citizen. She and Robert Stallbaumer were married December 15, 1998 in Key West, Florida while on a cruise vacation. They made their home in Stillwater where they raised their four children. Shelly enjoyed traveling the country making memories with her family and reading a good novel. Her grandbabies were her greatest enjoyment. They always brought a smile to her face and lifted her spirit. Survivors include her husband Bob of the home; three sons, Cody Hicks and Erin Donaldson of Agra, Oklahoma, Caleb Stallbaumer of Stillwater, Oklahoma, and Justin Tanner and Wife Rachel of Agra, Oklahoma; daughter, Kayla Tanner Of Stillwater, Oklahoma; brother, Christopher Roe and wife Sarah of Agra, Oklahoma; eight grandchildren, Parker Hicks, Wyatt Hicks, Anlee Tanner, Maybree Staggs, Maddix Staggs, Maximus Staggs, Kaycn Danker And Kyler Danker; parents, Gary and Carolyn Roe of Agra, Oklahoma; maternal grandmother, Betty Thompson of Agra, Oklahoma; several aunts, uncles, nieces, nephews; and a host of friends. She was preceded in death by her paternal grandparents, Mick and Alene Roe; maternal grandfather, Walter Thompson; and one niece, Ashlyn Roe. Family request that donations be made to Saint Francis Xavier Catholic Church in c/o Dighton-Marler Funeral Home, 5106 N. Washington, Stillwater, OK, 74075. To send flowers or a remembrance gift to the family of Shelly Dawn Stallbaumer, please visit our Tribute Store. 711 North Country Club Rd. "Email Address" would like to share the life celebration of Shelly Dawn Stallbaumer. Click on the "link" to go to share a favorite memory or leave a condolence message for the family.